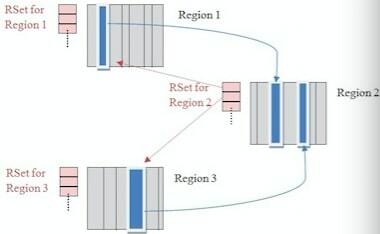 and selects the number of regions to collect based on the specified pause time target. Sets the percentage of reserve memory to keep free so as to reduce the risk of to-space overflows. The default is 10 percent. When you increase or decrease the percentage, make sure to adjust the total Java heap by the same amount. This setting is not available in Java HotSpot VM, build 23. Sets the occupancy threshold for an old region to be included in a mixed garbage collection cycle. The default occupancy is 65 percent. This is an experimental flag. with at most G1MixedGCLIveThresholdPercent live data. The default is 8 mixed garbage collections. The goal for mixed collections is to be within this target number. Sets an upper limit on the number of old regions to be collected during a mixed garbage collection cycle. The default is 10 percent of the Java heap. This setting is not available in Java HotSpot VM, build 23.